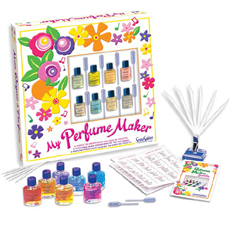 My Perfume Maker is a classic among educational kits. Eight natural essences or fragrances from the world’s most beautiful sources allow children seven years or older to create more than 100 different "eau de toilette." My Perfume Maker uses the highest quality fragrances available on the market, and many have found that the resulting bouquets are also very enjoyable in the bath. 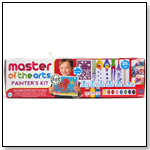 The kit includes a perfume guide that makes creating perfumes a fun and educational activity.